It’s not just about the beach in Coronado! We are fortunate to have live theater, a film festival, art galleries, and a Public Art Walking Tour of 30 pieces located throughout the village and the Silver Strand. Coronado’s Lambs Player’s Theatre has been entertaining audiences since 1994. The seating for 350 is arranged in a European amphitheater style, providing great views from all seats. Each year the ensemble hosts six productions including a Festival of Christmas during the month of December. The theater is literally right around the corner from the Hotel Marisol. For a calendar of current and upcoming productions, click here. The Coronado Playhouse is the longest running community theater in San Diego County. Located in the beautiful Coronado Community Center on Glorietta Bay, it provides cabaret style seating for 100 and also features a full bar. The Playhouse usually hosts seven productions each year. For more information, click here. Coronado School of the Arts (CoSA), which provides high school level pre-professional arts education, hosts a multitude of exhibits and events each year. The 570 seat Main Theater is augmented by an 80-seat Black Box theater. Click here for more information. The Village Theatre opened in 1950 and received a complete renovation of its Art Décor interior in 2011. First run movies are shown in its three theaters. While you are waiting for your movie to begin, enjoy the amazing murals of San Diego and Coronado on the theater's walls. The inaugural Coronado Island Film Festival was held November 9 – 12, 2017. Movies have been shot in Coronado since the early 1900s so it seems fitting to host a film festival in our seaside town. Renowned film critic Leonard Maltin served as Honorary Jury President as well as introducing celebrity honorees and participating on panels. 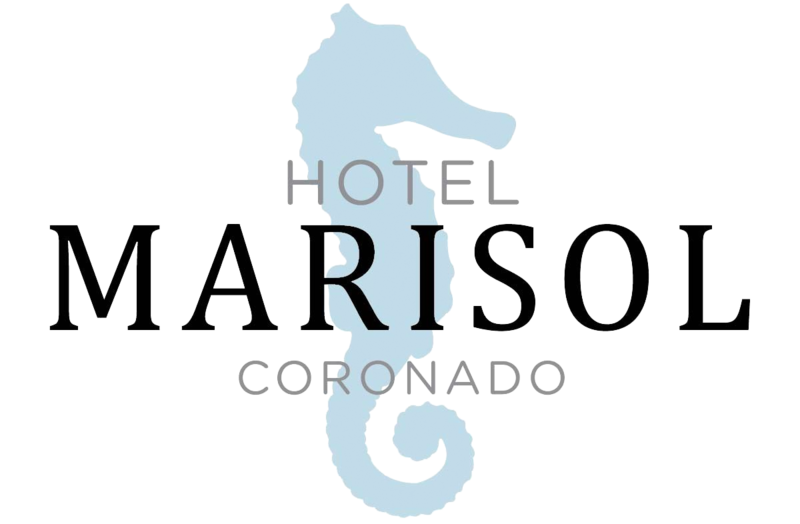 The Hotel Marisol is proud to have been one of the sponsors. For more information that event, click here. Coronado’s Art Association has been sponsoring Art-in-the-Park 1st and 3rd Sundays each month for decades. Artists from San Diego County display and sell their creations from 9:00 a.m. to 4 p.m. in Spreckels Park, just three blocks away from the Hotel Marisol. A great way to explore Coronado is by following the self-guided Public Art Walking Tour. Download the brochure highlighting 30 pieces, including Rotary Plaza which is just steps from the Hotel Marisol.